The slim G20 fits perftectly in your tool bag, purse or briefcase. A handy, removable pocket clip is also included making it just as comfortable in a shirt pocket. 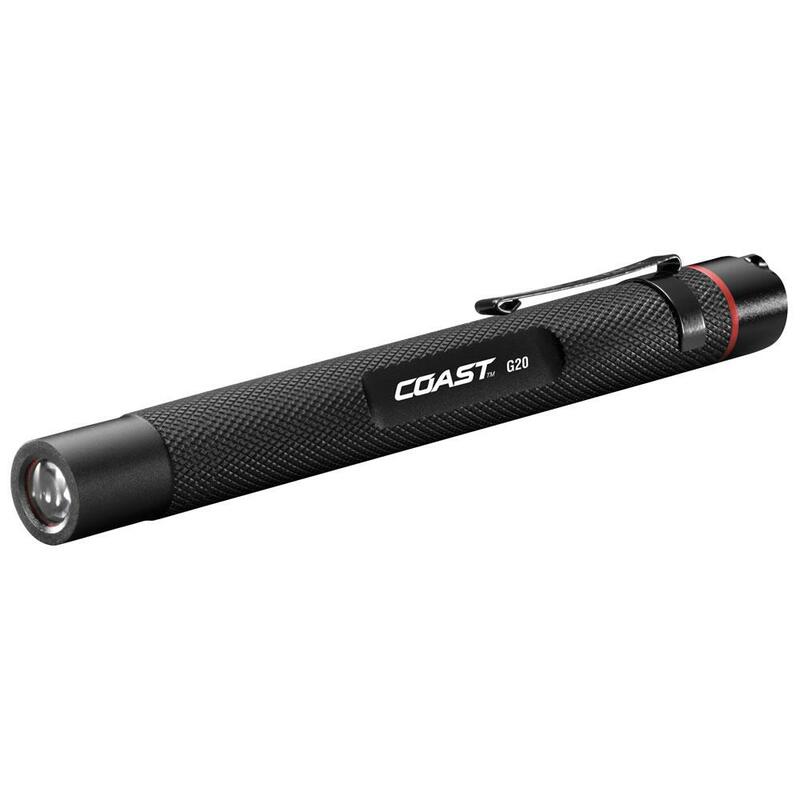 Coast's Max Beam™ Optic System shapes the available light from the LED into the most useable beam pattern giving you the maximum amount of light for your application. A lightweight aluminum casing offers great durability and will hold up to heavy daily use. Backed by Coast's lifetime warranty against defects in materials and workmanship.